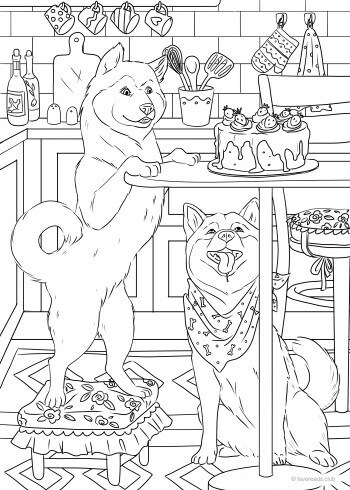 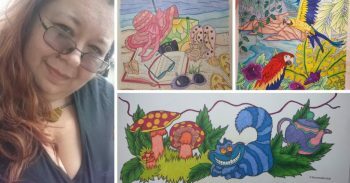 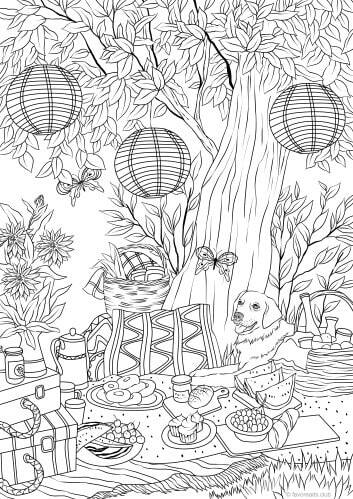 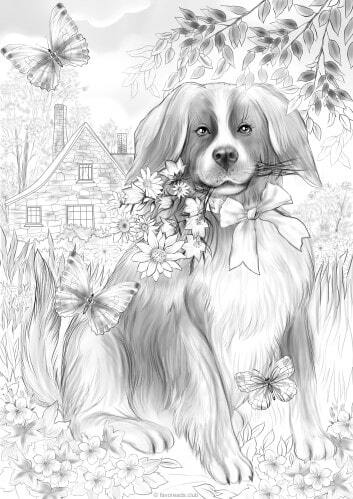 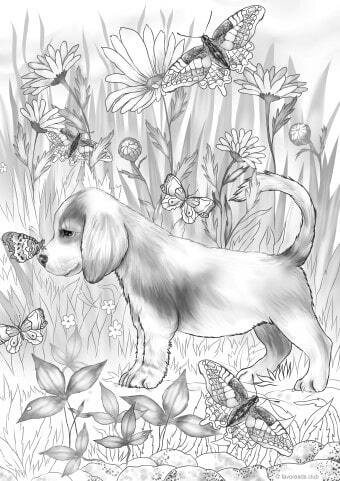 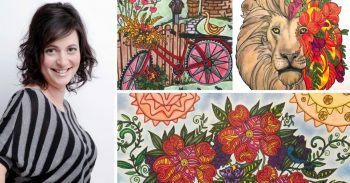 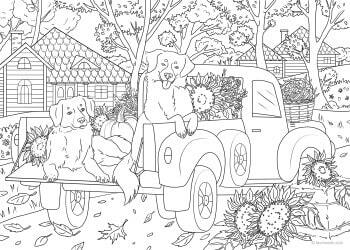 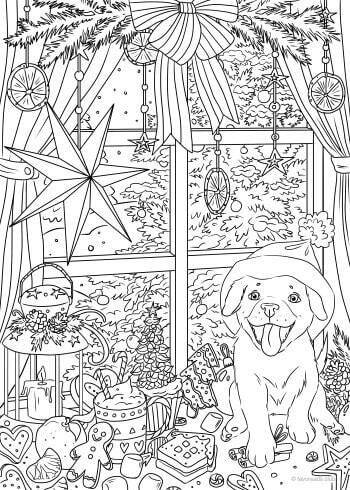 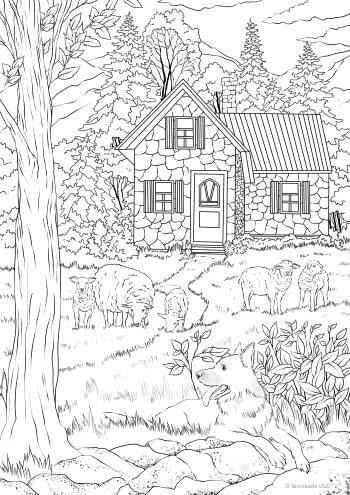 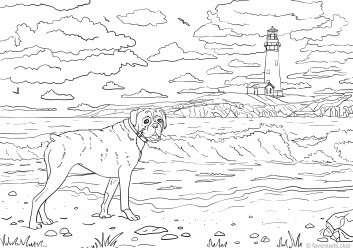 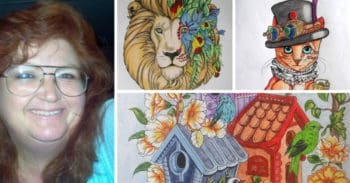 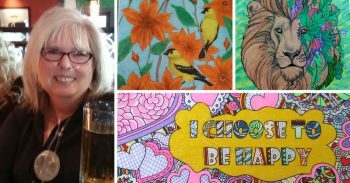 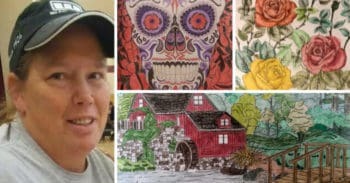 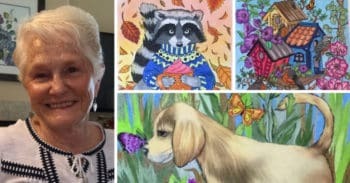 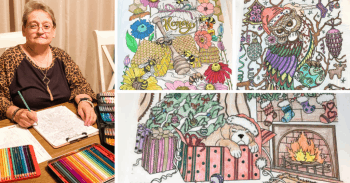 Printable adult coloring pages for all dog lovers. 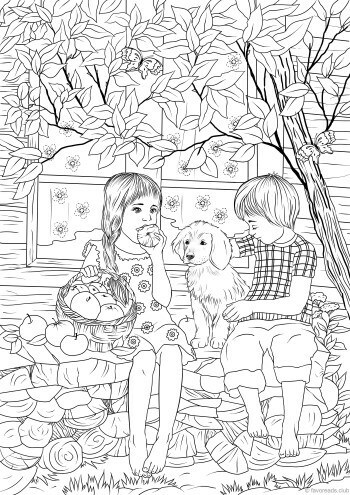 Our little friends love to play games and fool around. 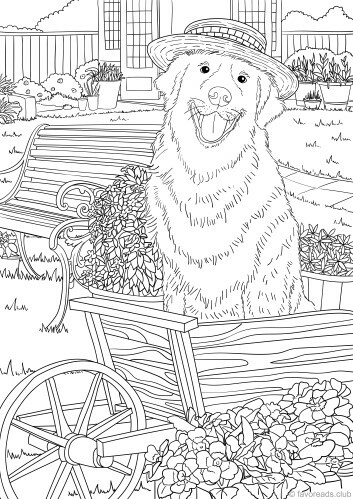 We collected lots of awesome designs, illustrating the brightest moments from dogs’ lives.